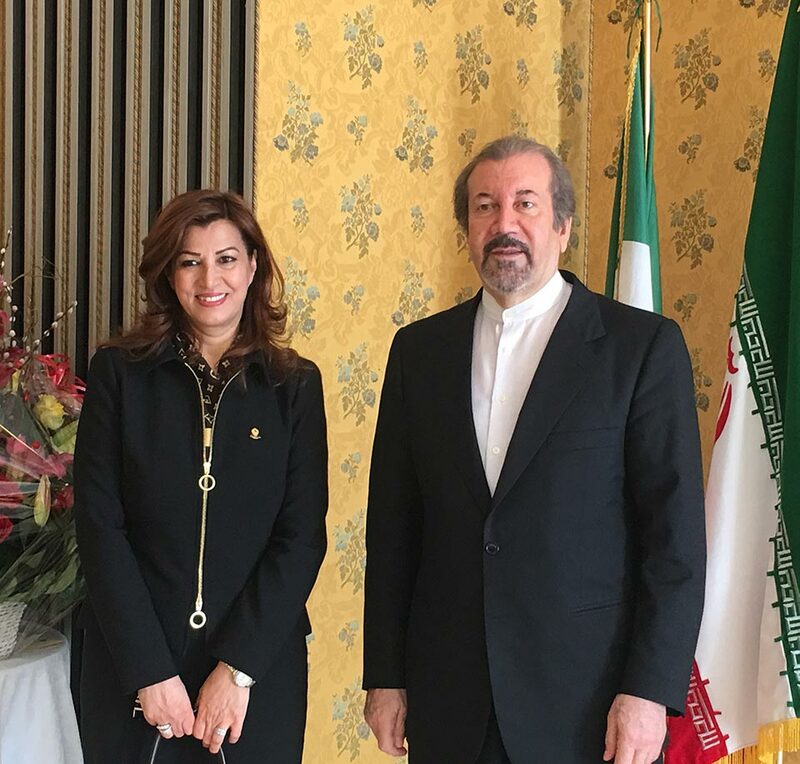 It took place at the Hotel Parco dei Principi in Rome, on February 9th, the celebration of the National Day of the Islamic Republic of Iran. Ambassador Jahanbakhsh Mozaffari welcomed the guests thanking them for their attendance. Among the distinguished presences, the Secretary General of the Ministry of Foreign Affairs, Amb. Elisabetta Belloni, the Ambassador of the State of Kuwait, Sheikh Ali Khaled Al Jaber Al Sabah, and members of the academic world, such as the President of the Center for International Studies, Prof. Andrea Margelletti and the Director of the NATO Defense College Foundation, Prof. Alessandro Politi. Amb. Mozaffari thanked Mrs. Kader for the courteous floral tribute.